From Indian Ocean isles to gems of the Pacific and Caribbean, Amy Frost, Flight Centre First and Business manager at our Baker Street branch, has given us her expert insight into which celebrities are holidaying where and – most importantly – what hotels should be on your rich and famous wish list. Amy says? 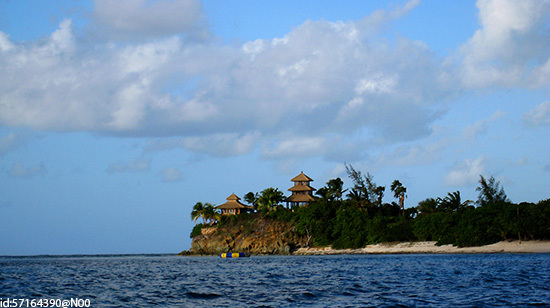 A private island with miles of unblemished beaches. The Royal couple jetted off to the Desroches Island for their honeymoon in May 2011 – with privacy, exclusivity and tranquillity as the resort’s big draw, who could blame them? The hotel is so secluded that it’s been voted into Forbes’ Top 10 remote Hotels of the World and, with just over a hundred rooms (some with their own plunge pools! ), you can go days without seeing another soul. There’s still plenty to do here though: from indulging at ‘Escape’, the onsite spa, to cycling around the three-mile-long isle, along sands and past swaying palms. Bike hire is complimentary for all Descroches guests, so it’d be rude not to! For water lovers, the island is also bordered by more than 14 dive sites – perfect if you want to take your first dive, get PADI qualified, or go snorkelling. Amy says? This is an environmentalist’s paradise in the heart of the Belizean rainforest. Microsoft founder Bill Gates went off the grid when he took his family to the Chaa Creek Resort in Belize. Set on a 365-acre nature reserve, it is one of Central America’s most lauded accommodations, praised by Condé Nast Traveler, National Geographic and Travel and Leisure magazines on multiple occasions. No surprises there: it offers a true jungle experience where you can immerse yourself in the wilderness while living in the lap of luxury – not a bad combination at all. 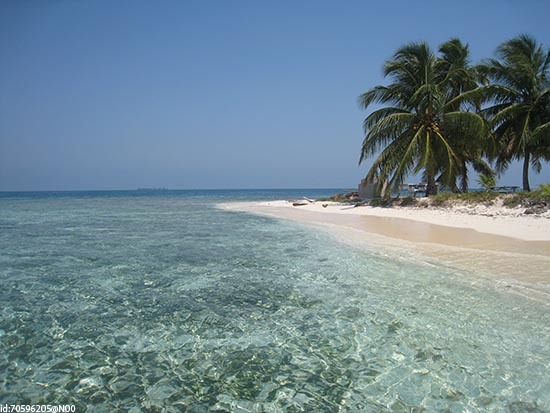 And if you do fancy a beach setting, coastal regions like Placencia (pictured) and Ambergris Caye are just a three-hour drive away. Amy says? This is a world-class resort with a vision of being ‘heaven on earth’. Opray Winfrey is a style icon, which is why it’s no surprise the American talk-show host chose qualia for her stay on the Whitsundays. 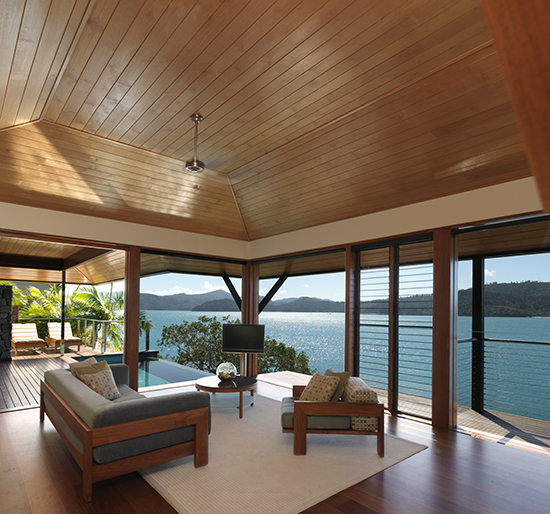 No expense is spared in this chic, lovingly-designed resort on the very tip of Hamilton Island, and its distinctive style sets it apart from the handful of other hotels on the island. Service is world-class and you don’t have to be Oprah to feel like a VIP here: everyone is treated like a celebrity, regardless of your bank balance. Make the most of the dedicated concierge team with chauffeur transport and independent excursions around the island, or simply daydream in the pool or as you soak up the surrounding postcard views. Amy says? This hotel has been host to many a celebrity and is steeped in rich history. It is one of the most beautiful and elegant resorts in the Caribbean catering for any guest's needs. The ocean-view guest rooms at Montego Bay’s Round Hill Hotel were designed by Ralph Lauren, so we’re not surprised this is one of the fashion master’s favourite jaunts – despite being worlds away from his typical Hamptons lifestyle. It’s also the oldest beachfront resort in the country and one of the most refined, offering an enclave of understated luxury and timeless elegance. 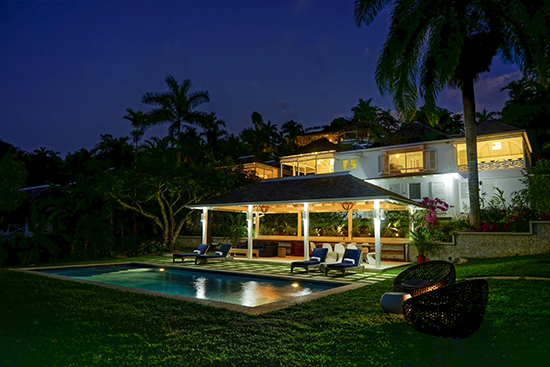 At its heart is an infallibly warm Jamaican hospitality, complemented by fresh, locally-produced cuisine, an onsite spa and an air of eternal romance. Ricky is one lucky lady! Amy says? This is an idyllic resort for the discerning traveller who desires the finest holiday experience. Dragons’ Den tycoon Peter Jones is definitely ‘in’ when it comes to spending time at Sandy Lane. As he admits on his website he is a “creature of habit” and revisits the hotel every year to enjoy some down time with close friends and family. And what better place to choose? 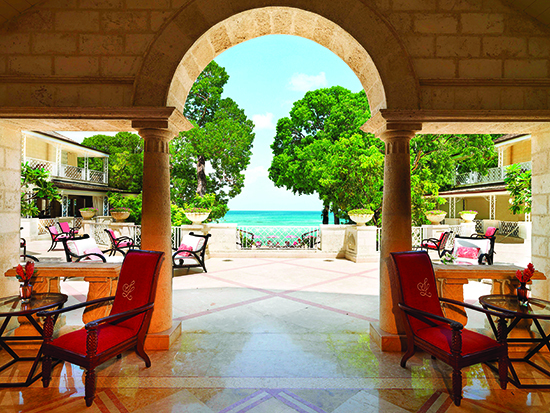 Sandy Lane is a real home-from-home, with the added benefit of a decadently-decorated spa as well as three restaurants and seven bars; so no need for any washing up after dinner. Amy says? It truly is a private escape from the real world. Lights. Camera. Beach? This exclusive, 74-acre isle is one of the Jurassic Park director’s favourite holiday spots – and he’s not the only one. With its Balinese eight-room villa and three guesthouses that altogether sleep up to 30 guests, celebrities like Kate Winslet, George Michael, Michael Douglas, Prince Charles and Oprah Winfrey (again!) have all had getaways here. But never fear: it’s not just a spot for the rich and famous – you can book to hire the entire island too. As long as you have £43,000 per night lying around that is. Well, we can dream. Amy says? Bora Bora is well renowned for being one of the most idyllic and perfect locations in the Pacific Ocean and the St Regis is famed for offering the most exclusive accommodation on the island. It is paradise personified. Nicole Kidman and Keith Urban went all-out for their honeymoon when they holidayed in a 1,200 sqm villa – complete with its own beach and spa – at the St Regis Resort. They experienced pure serenity surrounded by white sandy beaches and clear blue waters… But you don’t have to get the most expensive room in the place to get VIP treatment like Nicola and her hubby; guests in all suites are treated like royalty and even get an outdoor shower to complete their out-of-this-world stay. You won’t get the full celeb treatment though, after all, who wants to be hassled by paparazzi while they’re on holiday?